Thinking Pinoy: SPO4 Pia Ranada's Rappler invited foreign owners to avoid bankruptcy? 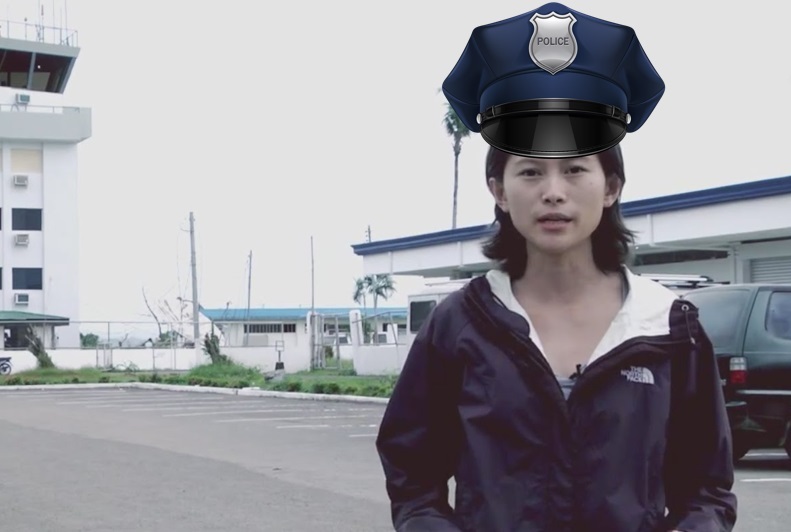 SPO4 Pia Ranada's Rappler invited foreign owners to avoid bankruptcy? In January 2016, butthurt college sorority blogger Chay Hofileña, with help from fellow college sorority bloggers Paige Tinola and ”SPO4” Pia Rañada-Robles, accused Presidential Communications Operations Office (PCOO) Sec. Martin Andanar of having political bloggers Sass Rogando Sasot and ThinkingPinoy (TP) on PCOO’s payroll [Rap], essentially showing that Malacañang is doing something similar to the Office of the Vice-president’s (OVP) direct manipulation of Robredo-aligned netizens [TP: #LeniLeaks]. The “investigative” piece was based solely on one anonymous insider source, and Rappler took no effort in getting the side of the accused prior to the article’s publication. In response, I wrote a scathing rebuttal last week [TP: Hofileñas Delusions]. In that article, I showed how Hofileña’s piece qualifies as a college sorority blog post at best. With that said, let me, ThinkingPinoy, show Hofileña how a real investigative piece looks like. Now, what should I write about? I was thinking of an appropriate topic then I remembered that Hofileña, in her college sorority blog post, conveniently assumed that Malacañang funds dominant Duterte-aligned social media personalities Sasot and TP then argued that it’s unethical. So why don’t I talk about Rappler’s finances? NOTE: This article was originally entitled "SPO4 Pia Rañada's Rappler violated constitution to avoid bankruptcy? ", but I updated the title recently to make it more relevant to current events. Despite having launched in January 2012, Rappler Inc. started pre-operations in 2011, so I acquired its Audited Financial Statements (AFS) for the fiscal years ending in , , , , and . DEFINITION: A Financial Statement (FS) is a summary report that shows how a firm has used the funds entrusted to it by its stockholders (shareholders) and lenders, and what is its current financial position. An Audited Financial Statement is an FS that has been audited by an independent accountant. I have also acquired Rappler Inc.’s [2016 General Information Sheet] (GIS). Rappler Inc.’s 2016 AFS still isn’t available because it has yet to be filed. Moreover, I also acquired Rappler Holdings Corporation’s [2016 GIS], along with its AFS for the years  and . Rappler Holdings Corporation is Rappler Inc.’s parent company. The process of acquiring Rappler’s docs would’ve been tedious, but I was lucky enough to get in touch with a few SEC people who hate Rappler’s juvenile guts, so I got the documents in a jiffy. In its 2015 AFS, Rappler Inc said its “primary purpose is to develop and sell news, information, social network services through various delivery formats,” and that it is a subsidiary of Rappler Holdings. That is, Rappler Inc is the company that directly owns and controls the website Rappler.com, so it’s also the employer of college sorority bloggers Chay Hofileña, Paige Tinola, and “SPO4” Pia Rañada-Robles. Now, a quick look at the Rappler’s latest 2016 GIS shows that it used the Industry Classification “Other Monetary Intermediation”, despite describing itself as a news company. This class includes the receiving of deposits and/or close substitutes for deposits and extending of credit or lending funds. The granting of credit can take a variety of forms, such as loans, mortgages, credit cards etc. What financial service does Rappler Inc provide, 5-6? Now, a closer look at Rappler's 2016GIS Page 1-A shows that the nature of its business is "Property Investment and Development"! This class includes publishing of newspapers, including advertising newspapers; publishing of periodicals and other journals, including publishing of radio and television schedules. Publishing can be done in print or electronic form, including on the Internet. Or if Rappler will argue that it isn’t a newspaper, then it can still use “5819 Other Publishing Activities”. But why did Rappler, despite having been pretending to be a news outfit since January 2012, still choose to be classified as “Other Financial Intermediation”? I think the Securities and Exchange Commission needs to summon Rappler’s accountants and its external auditor. But what exactly is so scary about being legally considered as a news (i.e. mass media) company? The answer lies in the constitution. The rationale? Foreign ownership of mass media companies allows foreign entities to influence the shaping of public opinion. That’s bad, especially if the foreign entity has more financial muscle than the Philippine Government itself. Yes, this is an issue of national sovereignty and national security. Just imagine China or the US owning ABS-CBN or Inquirer. Wouldn't that freak you out? Exactly.That’s why the constitution requires mass media companies to be 100 percent Filipino-owned. And that is what Rappler is not. In May 2015, Rappler proudly announced that it received investments from Malaysia-based North Base Media (NBM), which traces its roots to billionaire George Soros [Rap]. More on that later. Six months later, Rappler also proudly announced that it received investments from the US-based Omidyar Network (ON) [Rap], whose owner is known to have destabilized foreign governments. More on that later. Yes, two of Rappler’s investors are foreign entities, which gives rise to two questions: Is Rappler considered “mass media”? And If so, did Rappler violate the constitution by receiving foreign funding? The term ‘mass media’ in the Constitution refers to any medium of communication, a newspaper, radio, motion pictures, television, designed to reach the masses and that tends to set standards, ideals and aims of the masses. That is, internet-based news outfits, or at least those who declare themselves as one, are considered mass media. Yes, Rappler Inc is a mass media company, so how does Rappler get away with getting foreign funding? Both of Rappler’s press releases cited in the previous section mention a certain financial instrument called “Philippine Depositary Receipts”. Philippine Depositary ReceiptIssued by a company facing foreign ownership restriction, such as a media company, in order to allow foreigners to invest tin the company. A PDR is an evidence of ownership of a foreign/foreign based entity in a Philippine corporation. In short, PDRs allow foreigners to skirt foreign ownership restrictions. Obviously, PDRs, which Rappler uses, are tools to cheat the constitution. Anyone who disagrees should take a drug test. Rappler enjoyed its biggest capital infusion in 2015, where it received a whopping P170 million from the issuance of stocks per 2015 AFS. In theory, and without the existence of PDRs, the new capital stock should have been issued to Omidyar and North Base, but of course, the law prohibits that. Instead, the additional stocks were given to Rappler Inc.’s parent company Rappler Holdings, who now owns 98.84% of the news outfit per Rappler Inc’s 2016 GIS. This can only be possible if Rappler holdings issued P170 million in PDRs to Omidyar, North Base, and possibly, some other investor. 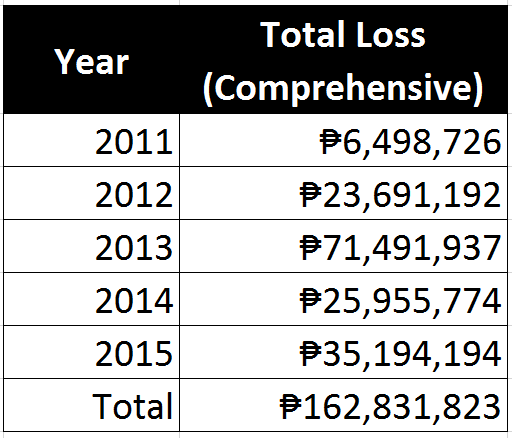 Rappler Holdings gave Rappler Inc P170 million, but Rappler Holdings 2016 GIS shows that is just a company worth less than P12 million! Moreover, despite Rappler Holdings being the majority owner of Rappler Inc, it did not declare the latter as a subsidiary, in contravention with SEC regulations. 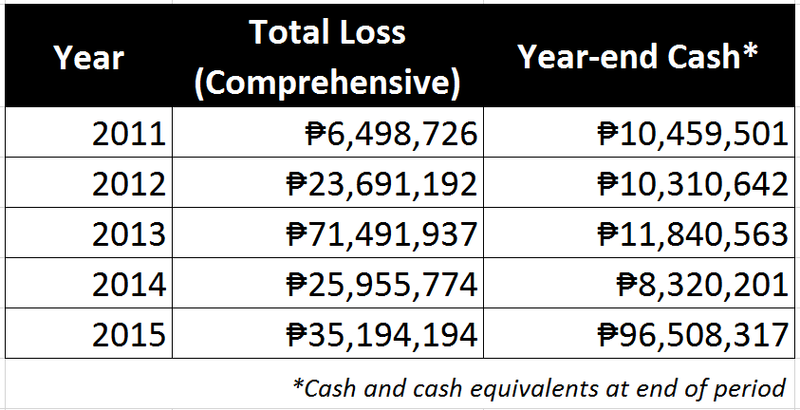 How could a P12 million company with a reported 2014 income of just 355 pesos (yes, just 355) and a 2015 reported income of just P13,188 have P170 million to give away? It's as if P170 million came out of thin air! It could only mean one thing: through financing activities, i.e. issuance of capital stocks or availment of loans. Rappler Holdings reported neither in 2015. Magical! SEC Chair Teresita Herbosa, I think some people in Estancia need to do some explaining. Rappler funder Omidyar Network owner Pierre Omidyar co-funded Ukraine revolution groups with US government [Kyiv]. That’s one red flag, but there’s more. North Base Media and Omidyar Network have one common denominator: the Hungarian-American billionaire George Soros. Meanwhile, Soros is one of Omidyar Network’s venture partners in India [Omidyar]. And who is Soros? Here’s a short description. Soros is a Hungarian-American billionaire who made his money by betting massively against the British Pound in the 1990s, causing a massive currency crisis in the UK [Investopedia]. He’s also convicted of insider trading in the US [NYTimes]. Soros, a major Hillary Clinton donor, has also funded Media Matters, founded by David Brock, who operates on behalf of Clinton in several dubious capacities—like running the Correct the Record SuperPAC, which hires Internet trolls to spread pro-Clinton ideologies on the Internet [Observer]. Alright, so two of Rappler’s funders have strong links to destabilizers… Perfect! And you know what Rappler is doing to the current Philippine Government, of course. ON’s and NBM’s respective decisions to invest in Rappler could have been defensible if Rappler was financially viable. That is, ON and NBM could have argued that Rappler is a legitimate financial investment, that Rappler is financially viable. Throughout its history, Rappler relied primarily on capital infusions to keep itself afloat. Based on its financial statements from 2011 to 2015, Rappler’s has posted multi-million peso net losses year after year. Based on Rappler's AFS from 2011 to 2015. Rappler, in its five years of operations, was NEVER profitable. So why would two investment-savvy foreigners risk their money on a company that never made real money? Is there a reason other than money? But it gets worse: juxtaposing these Net Loss figures to their cash assets at the end of the year tells a grimmer story. As we can see, the net loss of any given year has always been greater than the cash held at the start of the year. That is, it is imperative for Rappler’s owners to RAISE CAPITAL EVERY YEAR in anticipation of the massive financial hemorrhages it chronically suffers. That is, acquiring new capital is the primary reason why Rappler still managed to stay afloat since its inception. 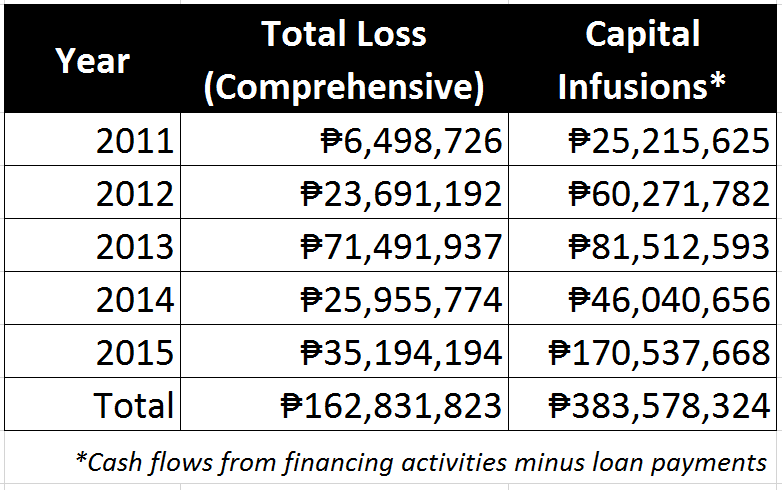 As you can see, Rappler continues to get capital infusions every year, despite the monumental losses it posts yearly. So why do people continue to fund in it? 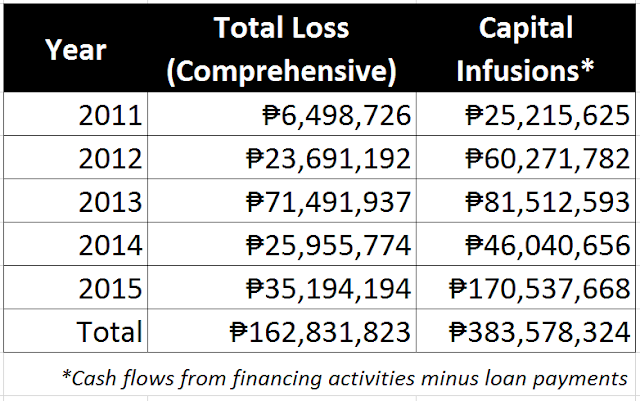 Do Rappler’s investors care little about whether then can recuperate their investments? Imagine that Rappler is your own sari-sari store. Your store loses more than it earns and you have to shell out money from your own call center salary to restock the store every day. Imagine you’ve been doing this since 2011. Now, how would you convince your friend to invest in your store when your friend knows it’s a money drain? Well, Rappler’s sari-sari store managed to do it. Does Maria Ressa ask would-be investors, "Open-minded ka ba?"? This defies logic under normal circumstances, but the circumstances are anything but normal. Rappler’s funders are two government destabilizers. Now why did these financially savvy destabilizers give Rappler money? For profit? For financial returns? Whose interests are Maria Ressa, Chay Hofileña, Paige Tinola, and SPO4 Pia Rañada serving?